As we begin to enjoy summer, I understand your urge to start planting a few medicinal herbs. Here's everything you need to know on how to grow Holy Basil. So let's begin looking at Holy Basil and how to plant, prune and harvest it. Here we’ll look at how to grow Holy Basil, (Ocimum sanctum, synonym O. tenuiflorum) one of the most often used of the Ayurvedic herbs holy basil, also known as Tulsi. Holy Basil or Tulsi originated in Asia where large, overflowing pots of it continue to grow inside their temples. Tulsi is said to be both calming and energizing. An adaptogenic herb, (anti-stress agent) Tulsi is thought to balance cortisol, making it helpful for many conditions. Stressful situations activate cortisol, and this herb helps calm and regulate it, while at the same time offering a boost of energy. Holy basil controls mood swings ease depression, and even provides comfort when one is grieving, sources say. Used to treat a wide range of medical conditions, Tulsi is known to control and prevent many imbalances. 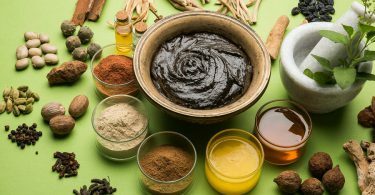 These include diabetes control and cancer prevention, improving digestion, and helping respiratory conditions by reducing mucus. Holy basil is also often used for the control of acne. 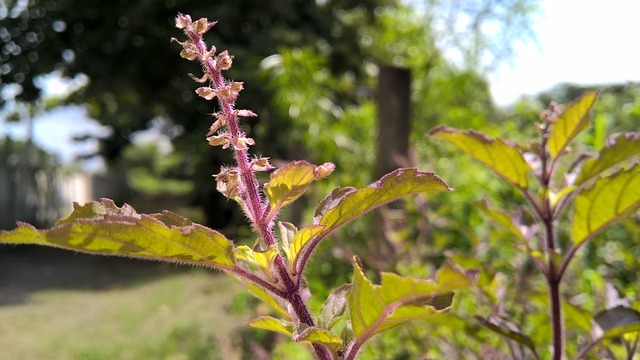 “Of all the herbs used within Ayurveda, Tulsi (Ocimum sanctum Linn) is preeminent, and scientific research is now confirming its beneficial effects,” according to the Journal of Aruyveda and Integrative Medicine. Learn more here about what this research shows about Holy Basil. Some results published in the journal Nutrition and Cancer say “In general, holy basil may not only possibly work as a natural cancer treatment, but another of the many holy basil benefits include that it may also help to prevent it (cancer). Research shows that people who regularly consume tulsi are less likely to be immunocompromised and less susceptible to developing cancer cells.” Excellent news for those who consume Tulsi on a daily basis and for those who are about to begin its’ use. Growing holy basil is similar to growing its counterpart, sweet basil and other varieties of the herb. Soil must be warm before planting outside, and the final harvest completed before frost arrives. The first step in planting Tulsi is to locate seeds or seedlings to plant. There are several offers for seeds on Amazon at this writing. Or check with local organic growers that possibly have seedlings sprouted for Holy Basil. When warm temperatures arrive, plant holy basil outside in a prepared bed or container. Grow Tulsi in a full sun area, where it gets at least six hours of sun each day and preferably eight to ten hours. Prepare the in-ground garden spot several inches deep, about a foot down, laying a good foundation for the roots of your holy basil. 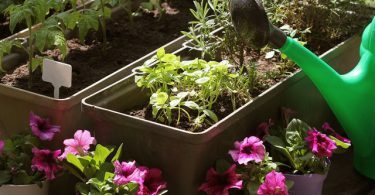 Mix in finished compost to enrich the soil and add drainage. Plant the tiny seeds about ¼ inch deep in a row and cover lightly with prepared soil. Moisten soil thoroughly, but not to the point of being soggy. You’ll want to keep the seeds moist until they sprout and afterward, but ground that is too wet can cause seeds to rot or seedlings to damp off. Thin seedlings, leaving about 18 inches between plants. Replant those you've removed into a different location if desired. Tulsi sprouts are too valuable to throw away. When the third set of leaves appears on the plant, you’re likely seeing true leaves and can water lightly once or twice a day, depending on the heat. When plants are around six weeks old, cut back the main stem and all but two sets of leaves on each remaining branch. Pruning trains the holy basil plant to develop side branches, resulting in a fuller and healthier plant, one you’ll be happy to move inside later on. Use succession planting to keep freshly grown plants coming up, every two weeks or so. Continued planting is important to make the most of a short growing season. Those with short growing seasons may also wish to start Tulsi seeds indoors so you'll be ready to plant seedlings when warm weather arrives. Harvest the top leaves regularly as this encourages the plant to grow and produce more leaves. This herb can be dried or used fresh for teas and tinctures. Use twice as much of fresh leaves as those that are dried. Always remove flower buds quickly. 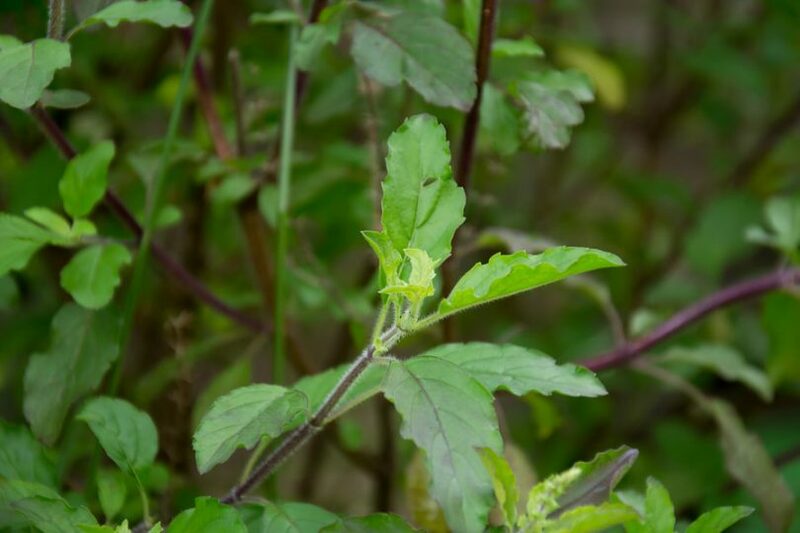 If the plant is allowed to flower, Tulsi leaves become bitter and can't be used. In late summer or autumn, before the time for frost, transplant your best holy basil plants into containers that can move indoors. If you're planning an indoor herb container for winter, add a couple of the best, younger Holy Basil plants. Young plants will likely have the best indoor growth potential. Tulsi is compatible with most perennial herbs, just don’t include fennel in the same container. Need Some Assistance From A Master Gardener? Now that you've received an overview of how to grow holy basil, if you are serious about growing your own medicinals and food, you may want to get some expert help from a Master Gardener so that you get even better results. Should you plant seeds…or seedlings? Hybrid seeds vs Open Pollinated seeds – What's the difference? The Beginner's Guide to Vegetable Gardening is normally $30, but I am able to offer you a discounted price! So take out your credit card and lock in the low introductory price of just $20 – but hurry, this offer will end! Get it now because… Imagine harvesting 100's of pounds of vegetables from your own backyard. If you are a newbie gardener, this course is designed to teach you the basics to get started. And if you are a seasoned gardener, the course will teach you what you need to know to “pump up” your production. Now I know a lot about Holy Basil. This is pretty interesting. I did not realize that it can help with stress and increase energy. Which is great. I need to get some of this. I am wondering, is this the same basil that we can get as an herb at the store? I was just curious. Thank You for the article. Hi Tina, No, it’s not the same, but undoubtedly related. Holy Basil is Tulsi, a revered Ayurvedic herb. It is known to mitigate stress, anxiety and conditions like high blood pressure, diabetes. It’s also very good for the skin. It’s one of my favorite herbs! Thanks for reaching out! first thanks a lot Jackie for sharing such a helpful guide. I am new at this but got much information. I love to garden and I have also outdoor garden. But I want to grow Holy Basil plants. Basil is the great tree for human. Its leaf so useful for human cold and skin or others. Now I have a question that Can I use LED lights for Basil growing indoor plants? I will save your site links and I will share it with my friends. I hope they will be benefited by this topic. I’ve listed some of my favorite LED grow lights below the post for your convenience.